The Toronto ACM SIGGRAPH Chapter is delighted to invite you to an exclusive event for Chapter members only. We will be hosting a 3D printing workshop led by Ryan Schmidt, Autodesk Research’s head of Design and Fabrication Research. 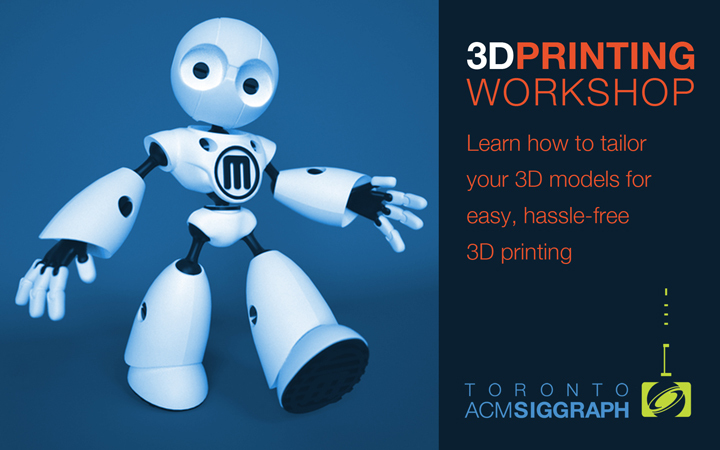 Join us and learn how to tailor your 3D models for easy, hassle-free 3D printing. Come to explore your creative side, meet like-minded people, and print your favorite design to take home with you! Make it a family event! Teen-aged children of members welcome! (Each person must purchase his/her own ticket). 2. Install Autodesk MeshMixer (free download). 3. Be ready to have a lot of fun! Interested in getting involved, as a sponsor or volunteer? Contact us!